Thomas R. (Tom) Breese passed away January 27, 2019 following a long battle with brain cancer. The body has been cremated. At Tom’s request, no funeral is planned, however, the family will greet friends and celebrate Tom’s life Saturday, February 9th from 3 to 5pm at Lensing Funeral & Cremation Service in Iowa City. In lieu of flowers, memorials may be directed to Iowa City Hospice (www. iowacityhospice.org) or to the USO (United Service Organizations, www.uso.org). Tom was born on February 7, 1941 in Iowa City, the son of Edwin Eugene and Marlys Gillespie Breese. He graduated from Iowa City High School in 1958 and, in February of 1963, from the University of Iowa with a degree in Mechanical Engineering and minor in Industrial Engineering. While at Iowa, he was a member of Phi Eta Sigma honorary scholastic fraternity, and, as an accomplished trumpet player, the Hawkeye Marching Band, Symphony Band and the basketball pep band. He was chairman of the 1962 Homecoming Monument, president (Regent) of the Omicron Chapter of Theta Tau engineering fraternity and president of the College of Engineering Class of 1963. The day following graduation from Iowa, Tom enlisted in the United States Marine Corps, graduating from boot camp at Parris Island, South Carolina, followed by tactical infantry training at Camp Geiger and artillery training at Camp LeJeune, both in North Carolina. Upon release from active duty, he joined a Marine Corps reserve unit in Waterloo, Iowa. On June 27, 1964, he married Holly Hann at Wesley Chapel in Iowa City. In 2014, they celebrated their 50th wedding anniversary. As a civilian, Tom joined the family’s NAPA Auto Parts business, initially as a buyer and later as general manager. The firm grew from four to ten stores in east central Iowa. Tom was a charter member of the National Advisory Committee to NAPA and served as president of the Iowa Automotive Wholesalers Association. He was named “Mr. Automotive Aftermarket” by Motor magazine and “Young Executive of the Year” by the Automotive Service Industry Association (ASIA) and was chairman of the 2000-member Young Executives Forum of ASIA. Active in civic affairs, Tom was a two-term president of the 300-member Iowa City Jaycees, president of the Iowa City Noon Rotary Club, served nine years on the Board of Directors of Mercy Hospital, was chairman of the Auto Mechanics Advisory Committee to Kirkwood Community College, served six years as a council member for the City of University Heights, was a member of the Iowa City Police Auxiliary, chairman of the Career Education Advisory Committee of the Iowa City Public School System and was a board member of the Iowa City Chamber of Commerce. He was a member of the Elk’s Club, American Legion, Association of the United States Navy and the Reserve Officers Association. He also served as a director of Junior Achievement, Boy Scout Troop 212 instructor, and coached Babe Ruth and Little League baseball teams. Among rewards received, he was named Outstanding Local Jaycee President for 1967-68 by the Iowa Jaycees and the Iowa City chapter received the Bob Cronk award for overall chapter excellence. 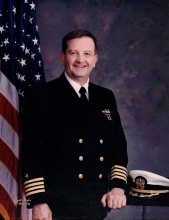 In late 1965, Tom received a direct commission as an Ensign in the Naval Reserve and continued military service for a total of 34 years, attaining the rank of Navy Captain before retiring in 1996. He commanded a number of Naval Reserve units and served periods of active duty in technical intelligence, shipyards, San Francisco Fleet Week, promotion selection boards, at sea, at the Pentagon, at the Naval War College and in other assignments during his career. Following retirement, he was given permissive orders to serve as a leadership instructor to officers and senior enlisted personnel. Most notable among his numerous military awards were the Meritorious Service Medal, Navy Commendation Medal (2 awards), Navy Pistol Sharpshooter qualification and the Marine Corps Rifle Expert qualification badge. After selling the auto parts stores, he co-founded a licensed private investigative agency and, later, was the sole owner. He was a member of the National Association of Legal Investigators and chairman of the Ethics Committee of the Iowa Association of Private Investigators. He worked as a licensed private investigator for 14 years. Tom was a licensed civilian pilot and an avid fan of Dixieland jazz. Tom and his poker buddies played regularly for nearly 40 years. He and Holly traveled extensively, visiting all 50 states and 32 foreign countries. Tom is survived by Holly, his wife of 54 years; son Eric (Mark Stolt), Chicago; son Chad, Ashburn, Virginia; grandson Stener, US Marine Corps; and granddaughter Braicy, Percellville, Virginia. He was preceded in death by his brother, Stuart, his father, Edwin, and mother, Marlys. To send flowers or a remembrance gift to the family of Thomas "Tom" R. Breese, please visit our Tribute Store. "Email Address" would like to share the life celebration of Thomas "Tom" R. Breese. Click on the "link" to go to share a favorite memory or leave a condolence message for the family.